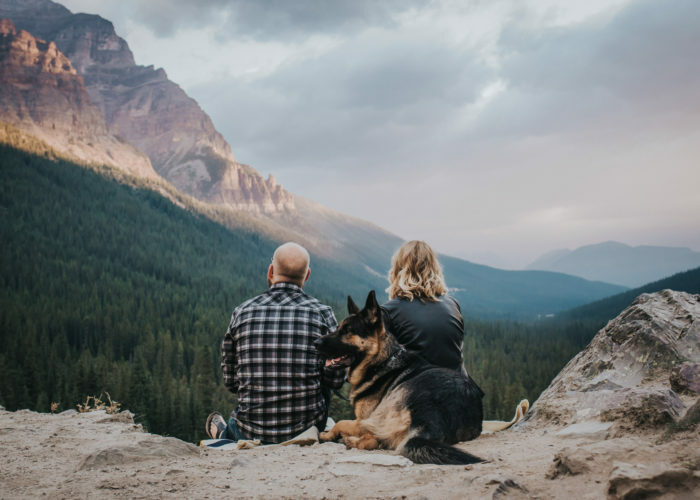 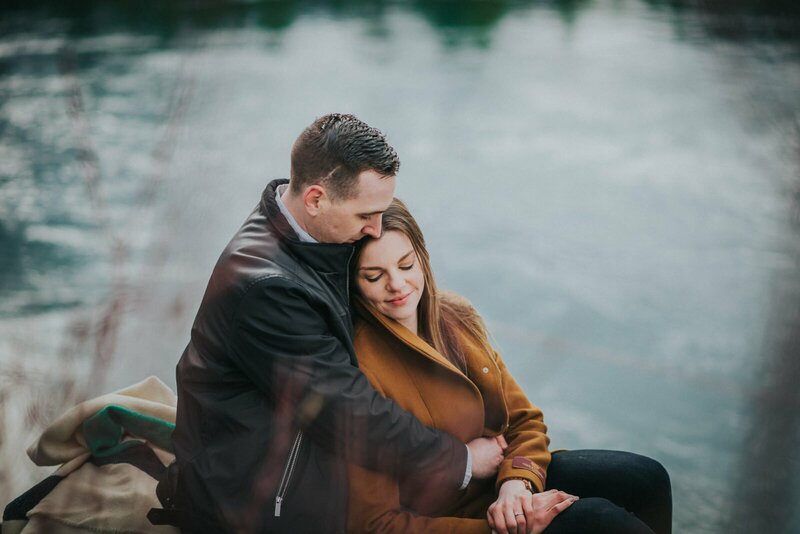 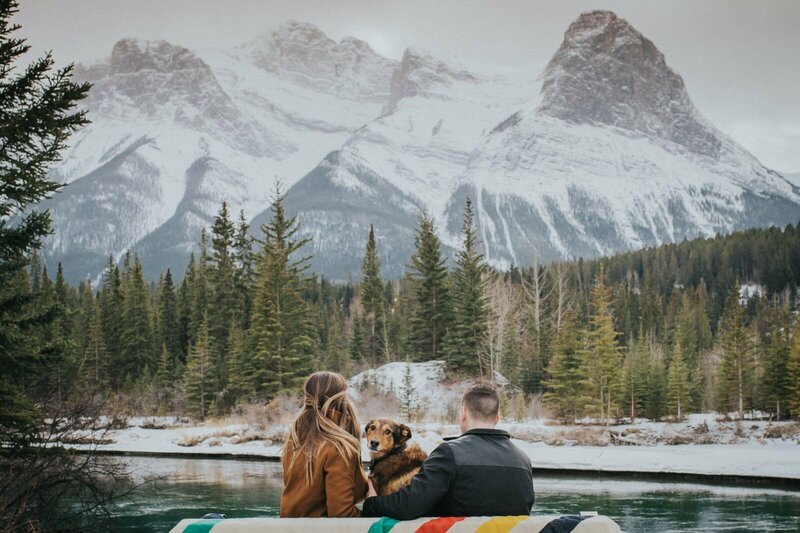 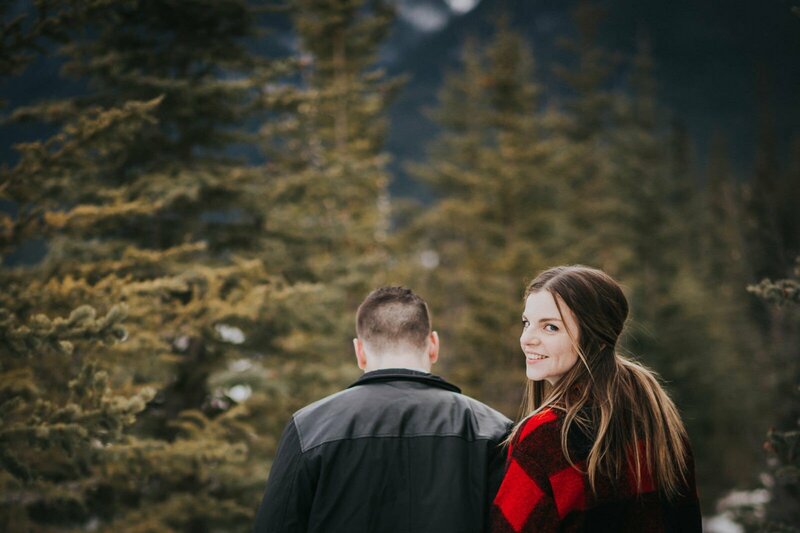 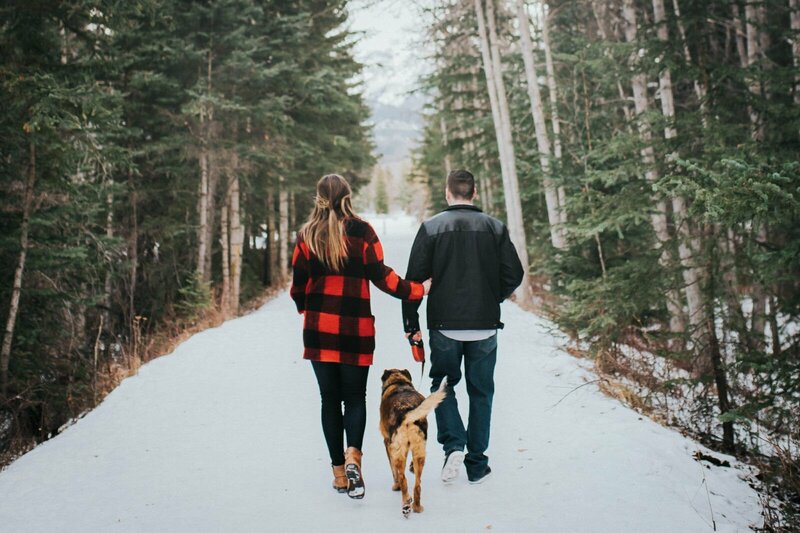 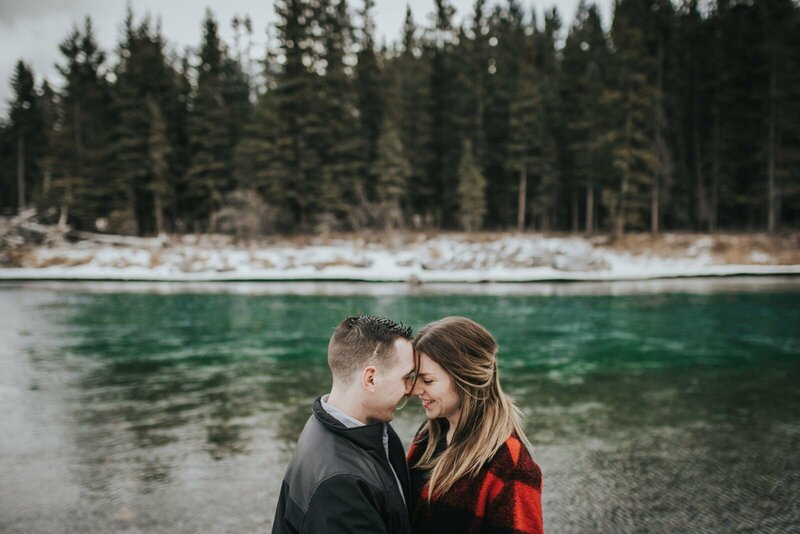 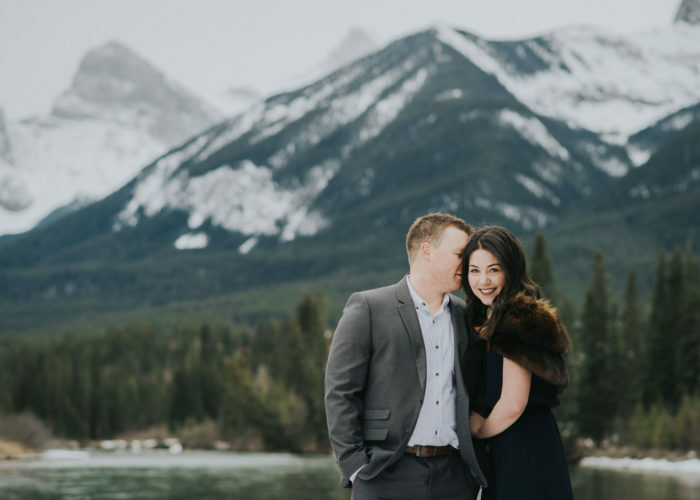 I was so excited when Tess and Erik said that they were up for an adventure to Canmore for their winter engagement session. 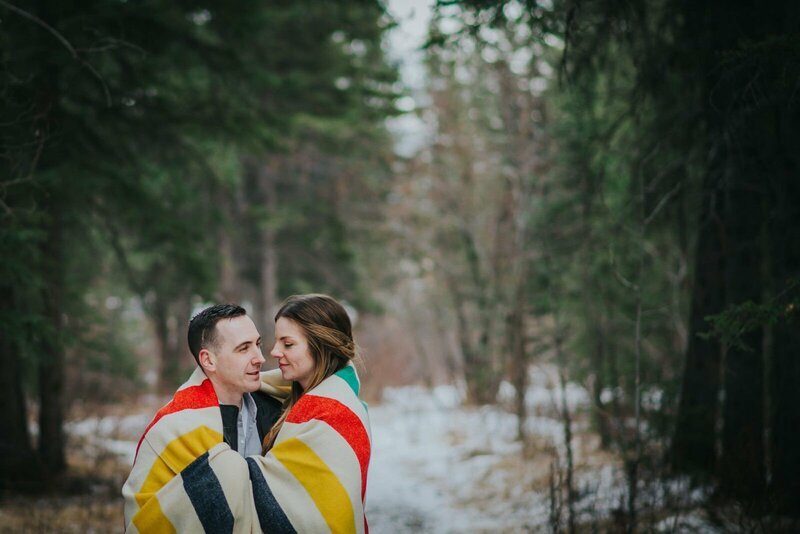 I love photographing in the mountains and exploring new locations. 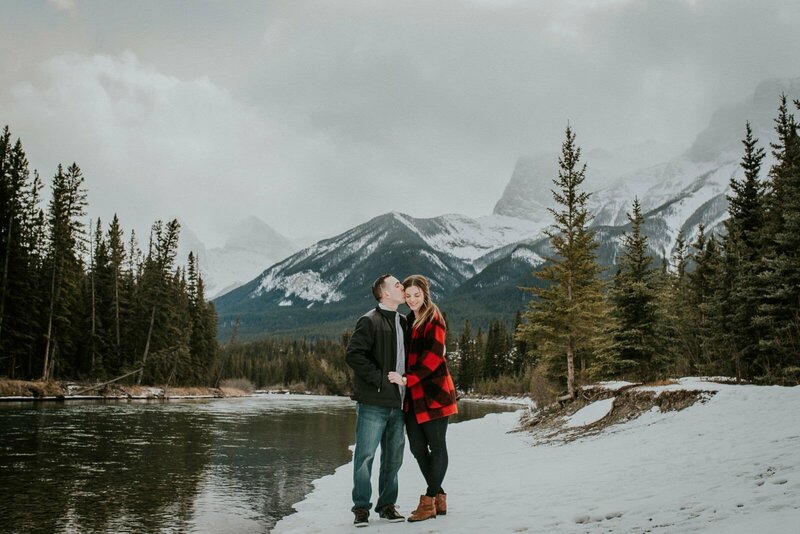 My Aunt Lynne (who lives in Canmore) showed me some of her favorite spots around town. 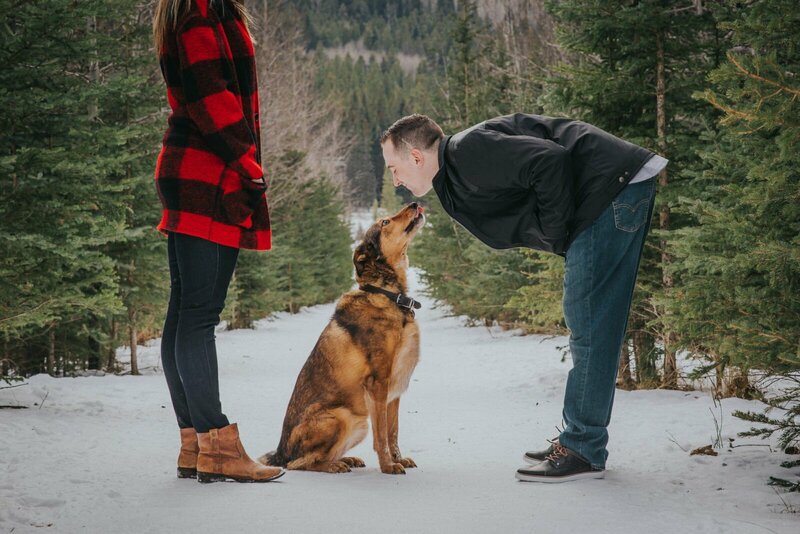 And was the most amazing host while I stayed there. 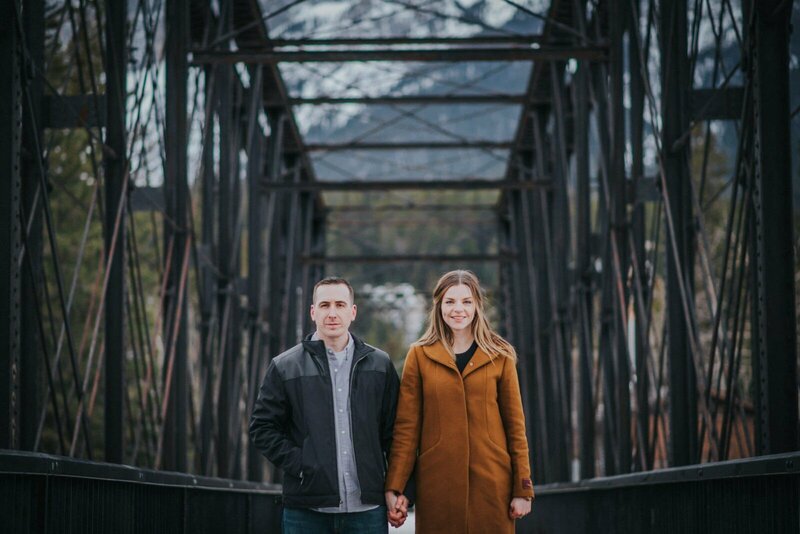 Let’s just say that if she wanted to, she could open a restaurant/bakery. 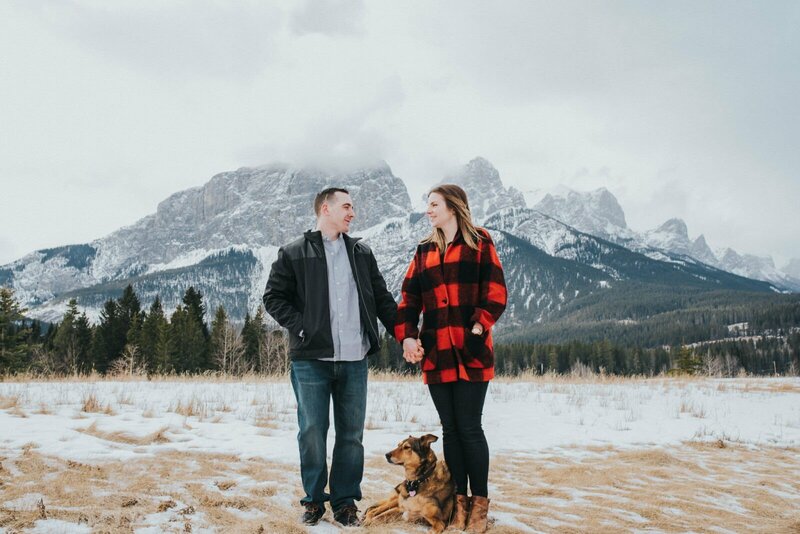 I met up with Tess, Erik and their sweet dog Dally and we spent the afternoon exploring around Canmore. 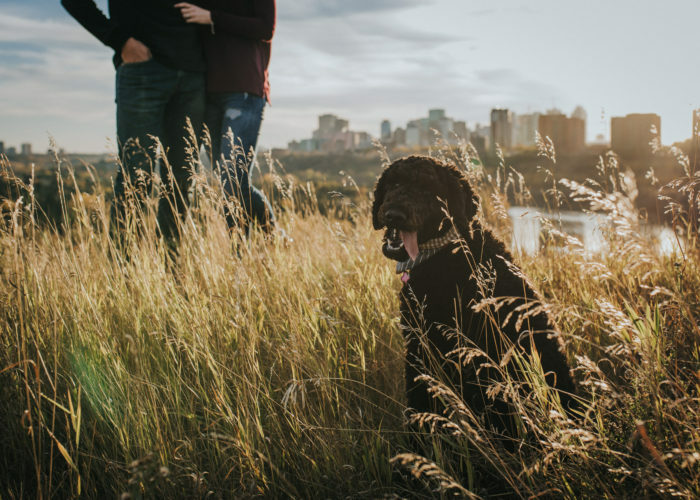 Dally was the cutest (and I have to say, stole the show a little bit)! 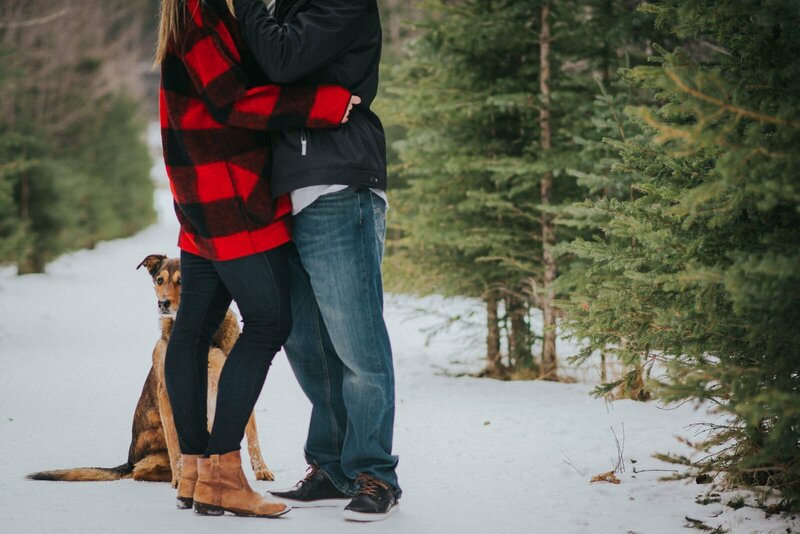 It’s so fun when pets get to join in on the shoot!